Support our branch and help local cats in care, whilst having the chance to win some amazing prizes? Then our new weekly lottery is for you! 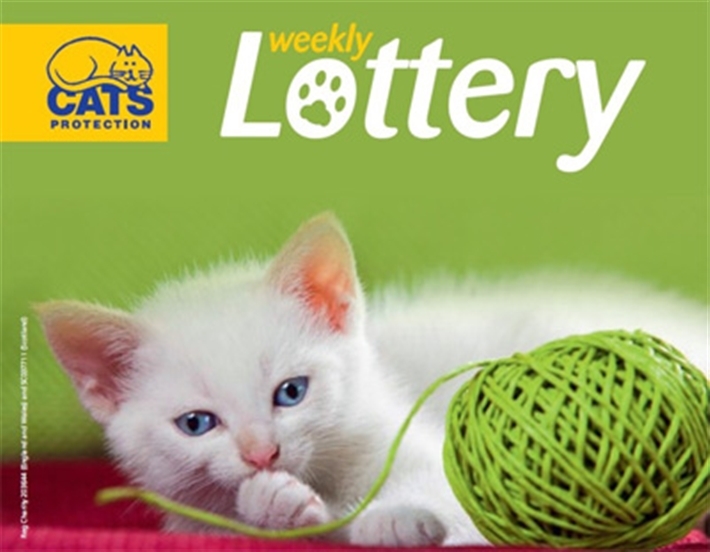 The brand new Weekly Lottery is being launched this month. The concept is simple - players pay £1 a week to have a chance of winning one of 100 prizes, including a weekly jackpot of £1,000 and quarterly Super Draws with up to £5,000 jackpot. This is a fun way of helping to raise funds for us and we hope you will join the scheme. You will receive a welcome pack with information about the scheme when you join. Please make sure to click option 3, ' I would like my payments to go towards supporting a centre of my choice 'in the donations options box and select 'Bristol and district' from the dropdown menu if you sign up online, as this will ensure your lottery fee will support our branch directly.